This program is specially designed for college students from communities that have been historically underrepresented in arts organizations because of educational and economic disadvantage and ethnic background. Thanks to funding from the New York State Council on the Arts, these fellowships will offer free housing, a stipend of $6,000, along with reimbursed transportation expenses to and from the ADKX, up to $500 per fellow. 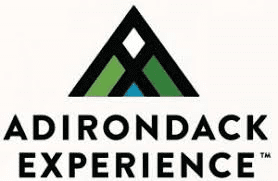 Adirondack Diversity Solutions, lead by Dr. Donathan Brown and Cindy Rodriguez, are leading a nationwide search for museum diversity fellows. Brown and Rodriguez plan to engage in weekly mentoring sessions with participants, and help provide Adirondack community engagement opportunities. Included in the program are formal presentations, and Q&A sessions with the ADKX leadership on museum operations. Fellows will focus on one of the six aspects of museum operations to acquire more in-depth knowledge of a single institutional function. Fellows will receive interpretive training following a special curriculum created by the National Association of Interpreters. Following training, fellows will spend one day each week interacting with ADKX visitors as interpreters in the newest 19,000 square-foot hands-on exhibition. Fellows will also take field trips to five other regional museums to learn about their operations and partake in weekly mentoring sessions. Fellowships are funded by the New York State Council on the Arts and are open to students currently enrolled in either a two or four-year undergraduate college program. Students must be in their second year of study, at a minimum. Majors in all fields are encouraged to apply. Notification of selection will take place by April 15, 2019.